When model Anna Cleveland began high-stepping down catwalks a few seasons ago, the sight was in some ways a familiar one. Cleveland is the spitting image of her mother, Pat, one of the iconic fashion faces of the 1970s and the woman Andre Leon Talley once described as "the Josephine Baker of the international runways." This month, Cleveland publishes Walking with the Muses: A Memoir, which recounts her memories of her days as a fixture on the Paris fashion scene and a habitué of storied New York haunts such as The Factory and Studio 54. Mr. Valentino was a firm fan of Cleveland, casting her in umpteen shows, and as friends, they often crossed paths on the Manhattan social scene. Cleveland, for her part, always expected to be a fashion star—not a model, though, but a designer. She was fifteen and studying design when Vogue editor Carrie Donovan discovered her on the subway; it wasn't long before Cleveland's Modigliani-esque face was gracing the pages of major magazines, in photos shot by legends like Irving Penn. 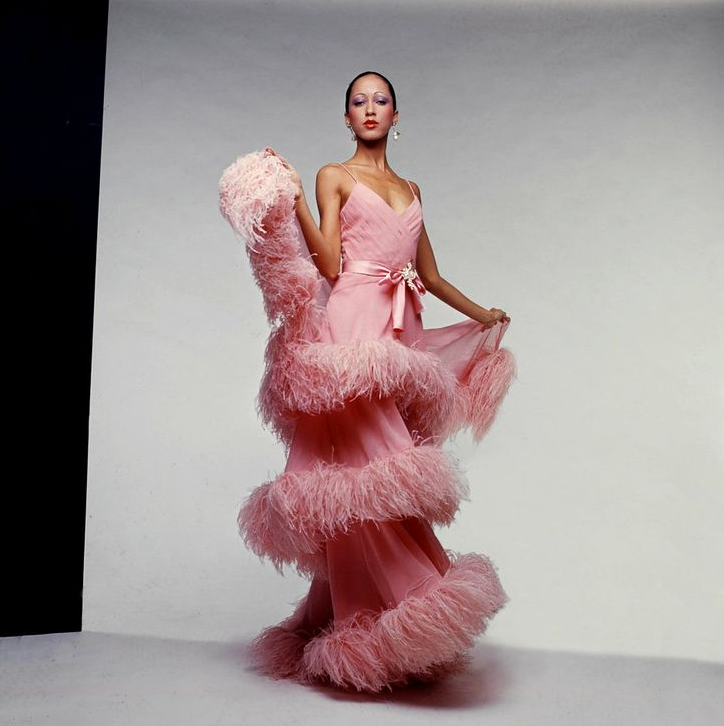 A pioneer African-American model, Cleveland went out of her way to support Black designers, and took another stand on race when she decamped to Paris full-time in 1970, frustrated by the lack of opportunities for Black models Stateside. 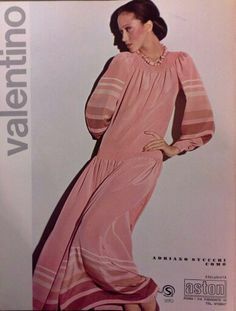 That wasn't a problem for Cleveland in Europe, where her exotic look—a mix, in fact, of African, Native American, Irish and Swedish ancestry—captured the imagination of designers such as Mr. Valentino. Cleveland returned to the United States in 1974. After becoming a mother, she took a long hiatus from modeling in the 1980s, having helped to pave the way for Valentino muse Naomi Campbell, among other black supermodels. These days, Cleveland is back in the modeling game, making occasional appearances in campaigns and on runways, sometimes in the company of her lookalike daughter. Her legacy is in good hands.